It's now 2008 and time for those resolutions. 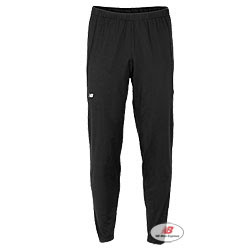 If your New Year's resolution is to up your mileage or train no matter the weather, you might want to try the New Balance Reach Trackster pant. This Reach Trackster pant offers ankle zippers for easy on/off and Lightning Dry® fabrication to wick moisture away from your skin. Check out Runner's World for the review on the Reach Trackster and how the benefits can improve your stride. And if you are someone (like me) who must coordinate their running outfits, you can pair this with the Kaspian Half Zip for a cool look. There is no reason why you shouldn't stay warm (and stylish) while reaching your goals in 2008!